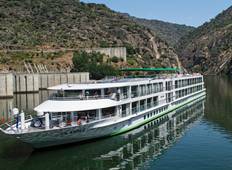 Find the best CroisiEurope River Cruises Europe trips. TourRadar offers 209 tours from Europe through 26 countries. The tours span across 3 day to 20 day itinerary with prices ranging between $103 to $550 per day. "Good viewing of castles on Rhine, less than 90 passengers, staff very attentive." "This was a wonderful first experience for us with a river cruise! 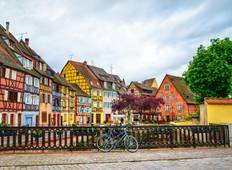 The excursions..."
"The boat and meals were excellent, the land tour to Arles should be in the day time..."
"Our first cruise - we are Australians who speak a little French and quite happy to..."
"Highly recommend Avalon Waterways to deliver a fabulous cruise experience. We travelled..."
"The tour was overall excellent we enjoyed in particular the accommodation and food..."